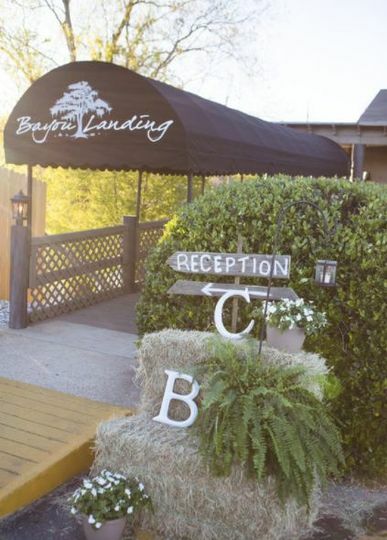 Bayou Landing is a convenient and accommodating wedding event venue located in Monroe, Louisiana. 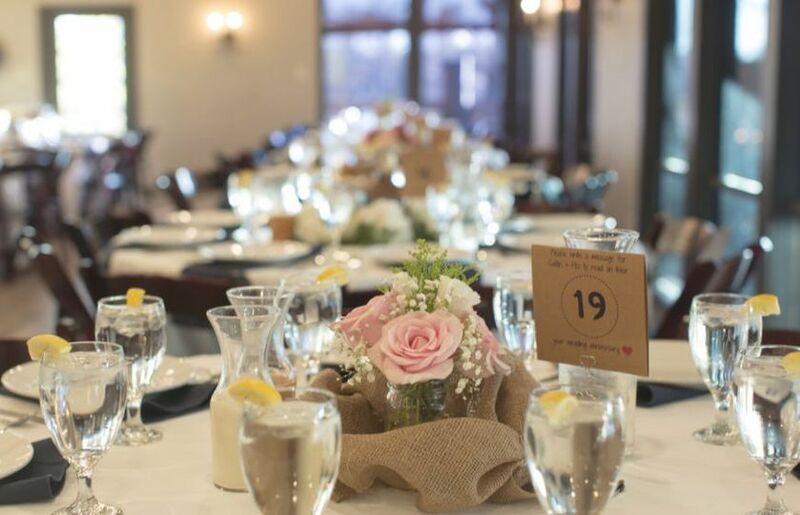 With a spacious floor plan of 5,500 square feet, this venue has ample space for you to have a completely customized wedding experience with fantastic views of the nearby bayou. 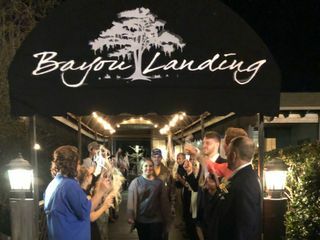 Customers have also cited that Bayou Landing has one of the most beautiful views in Northeast Louisiana, which means you’ll have some amazing wedding photography opportunities. 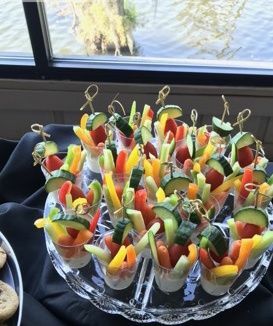 In addition to the large space and gorgeous landscape, Bayou Landing provides a team of highly experienced staff who offer event management and food/catering service that is truly exceptional. 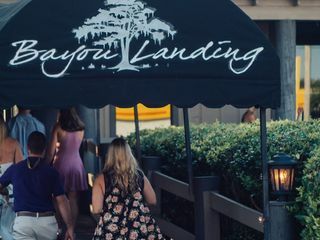 Inside Bayou Landing, you’ll find two beautifully appointed interior levels and a winding deck onto Bayou DeSaird, offering scenic underwater lighting. 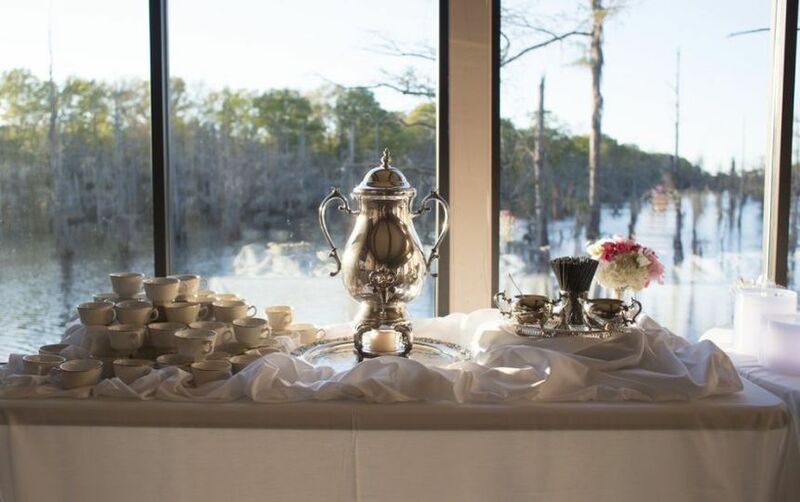 From the cavernous indoor and outdoor reception halls to its unique bayou landscape, this venue will make your wedding event an exceptional experience for you and your guests, serving as the perfect event backdrop. 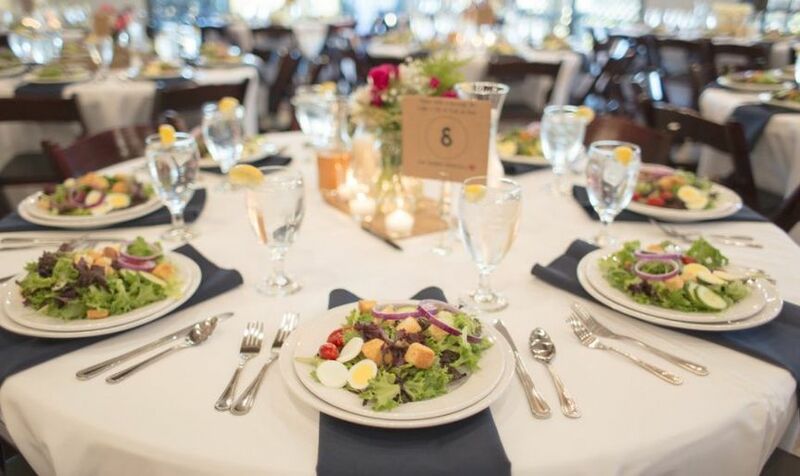 You will be able to host up to 300 guests at this wonderfully designed space. We were very pleased with everything! 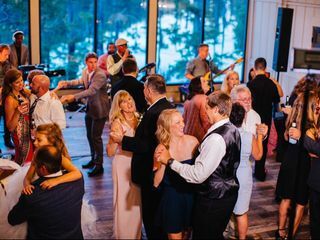 My daughters wedding was perfect! 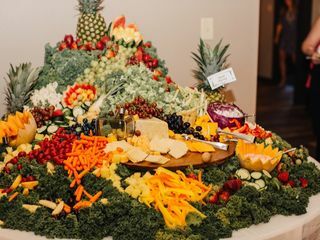 The food was excellent! And of course the venue it self it beautiful! Ms Kim is so kind and so helpful in preparing and so easy to talk to! 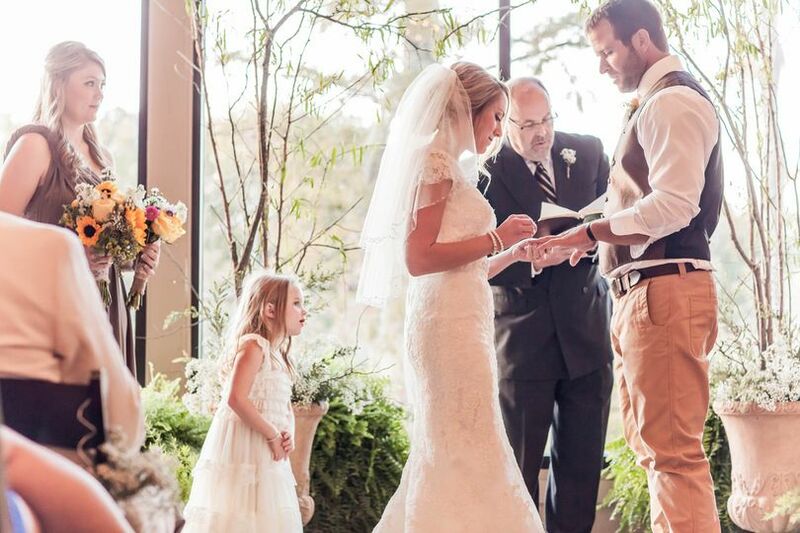 The BEST wedding venue in north Louisiana! 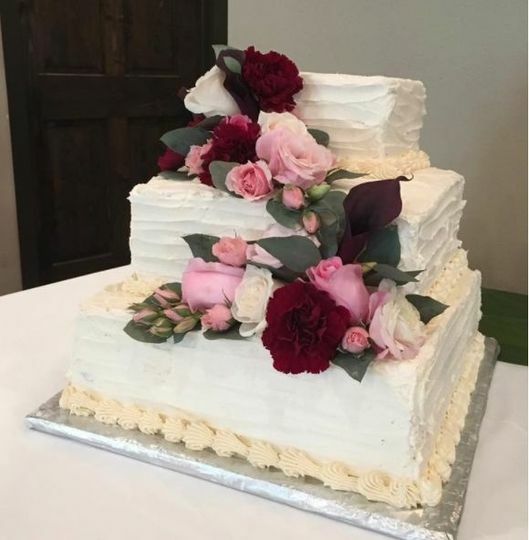 My husband and I had a beautiful wedding day at Bayou Landing this past month. 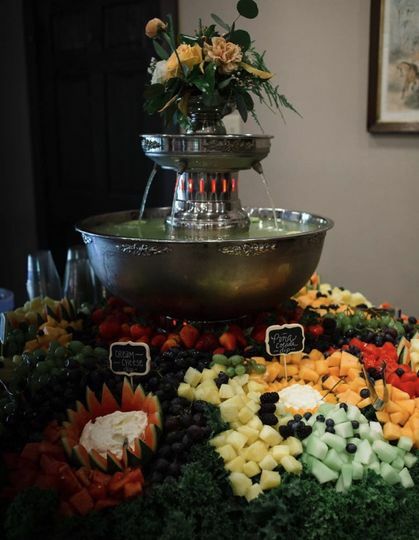 Afterward, our guests had nothing but wonderful things to say, from the delicious food, to the stunning view of the cypress trees against the bayou and the rustic, elegant wood interior of the venue. 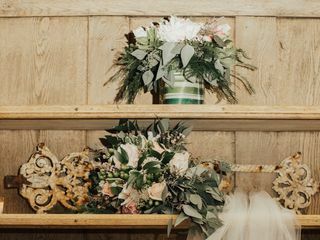 The manager of the venue, Kim, makes it even more worth it to have your event here. Kim was with us every step of the way, eased all of my worries, and guided us through the new territory of wedding planning! 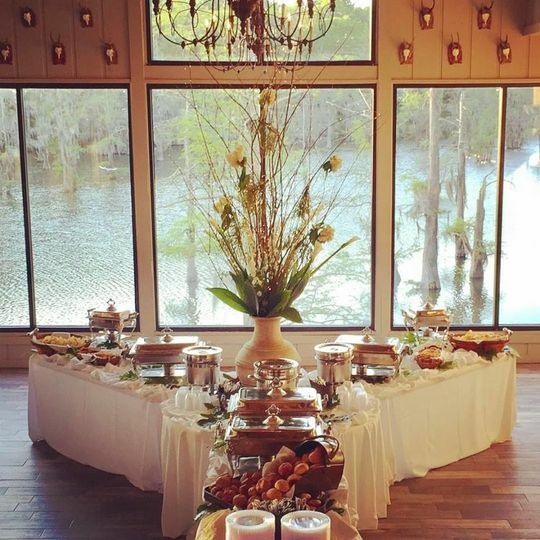 I don’t have a single regret when it comes to booking Bayou Landing for our wedding and will be recommending it any chance I get. 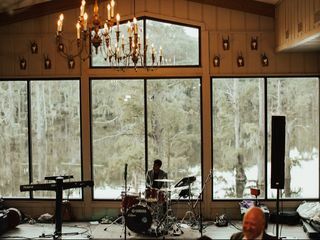 The view, the venue, and the employees were all exceptional. 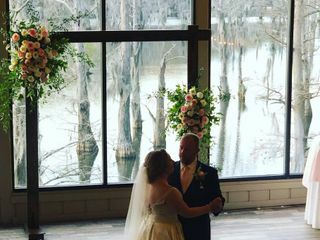 Our pictures with the bayou in the background were gorgeous!